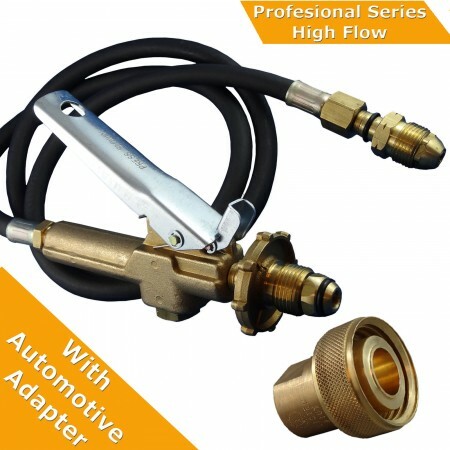 LPG Filler Gun & Hose, comes with Acme 1 3/4 Adpter. This Kit is used in conjunction with a LIQUID WITHDRAWAL gas bottle POL fitting. 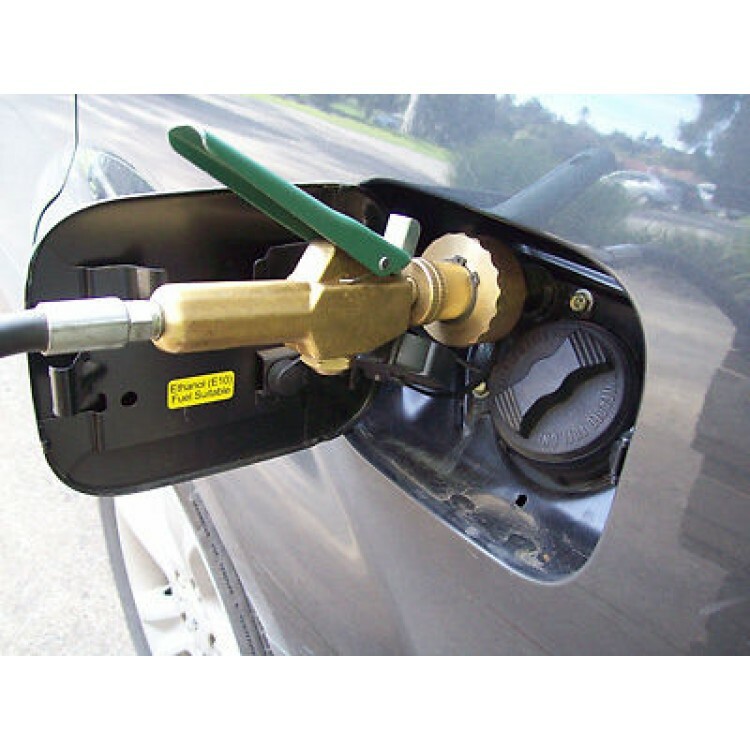 It is used to decant LPG from a gas bottle to a car thru the normal car filler point. Great for break downs for cars only running LPG, no need to call a tow truck just hook fill gun to a Liquid Withdrawal gas bottle and connect to the car until pressure is balanced, then you should have enough to drive to the service station to refuel. 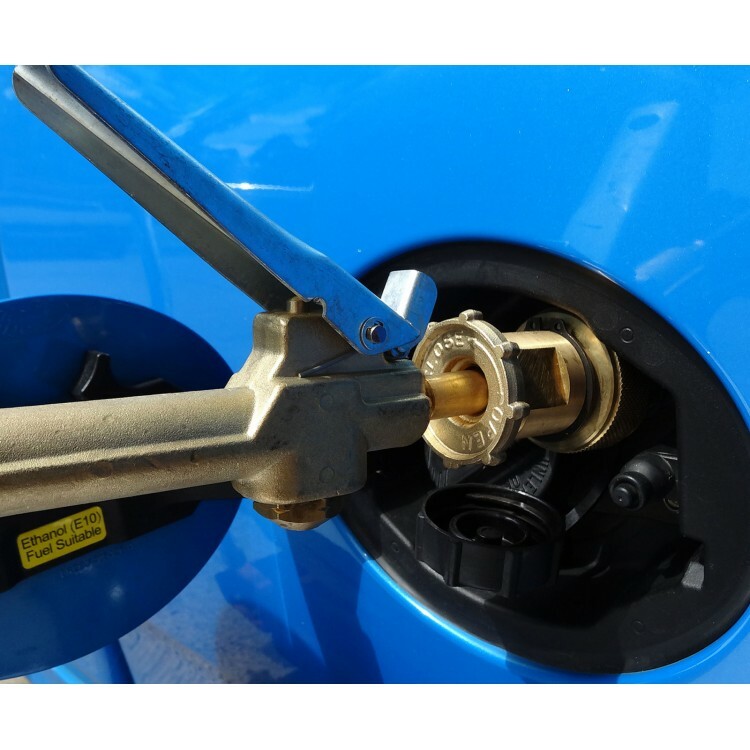 Please Note: you can not fill your BBQ bottle or any other portable LPG cylinder from the Cars filler, because there is a series of one way valve in the automotive filler system allowing LPG into the tank only not back out thru the filler point. LPG will only equalize pressure, so LPG will always flow from the tank with the highest pressure to the tank with the lowest pressure. TIP: To transfer more LPG from a cylinder to the car LPG tank, ensure the cars LPG tank is as empty (run out of gas and wont accelerate). Leave the bottle in the sun or pour hot water on it this will help build up the bottle pressure and should decant more LPG into the cars LPG tank. 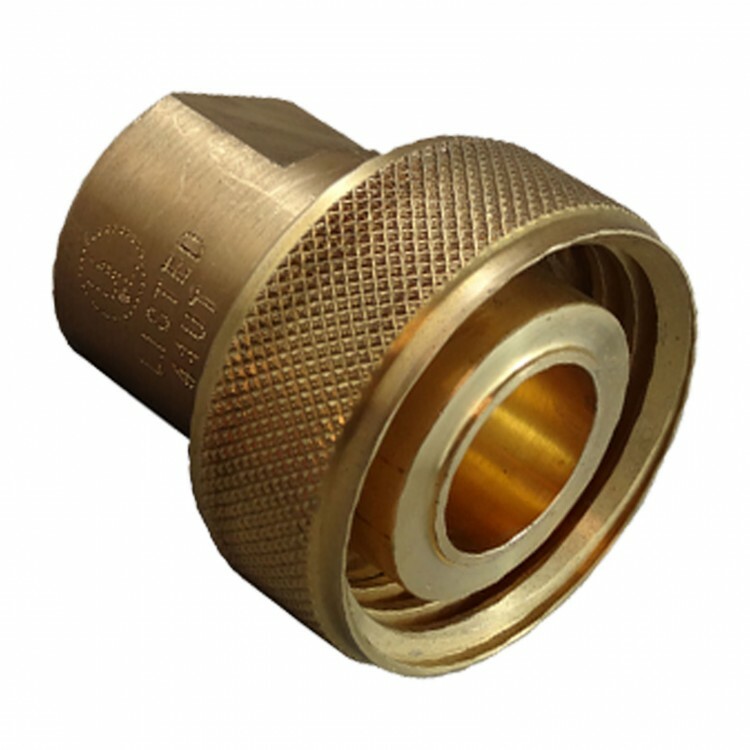 Safety, there is an excess flow valve in stalled to stop the gas flow if the inlet fitting is broken of in use. 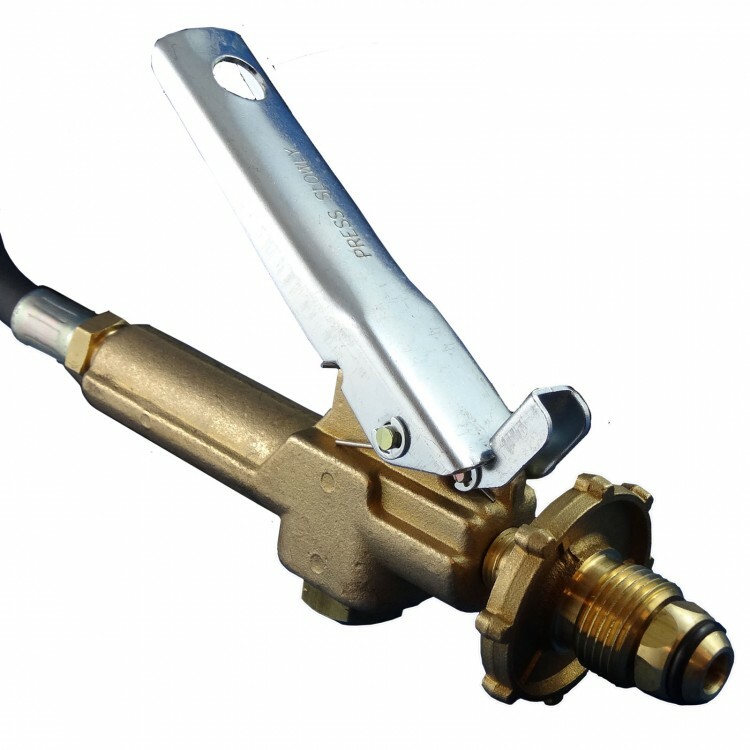 Safety, the trigger has an inbuilt hydrostatic over pressure set to 3.3mpa to protect the hose and operator. Safety, the trigger has automatic shut off once the trigger is release and then a spring loaded latch automatically locks the trigger into the off position. The Fill Gun kit is made to the Australian specifications by SCG who have become one of the worlds leaders in LPG valve manufacturing. 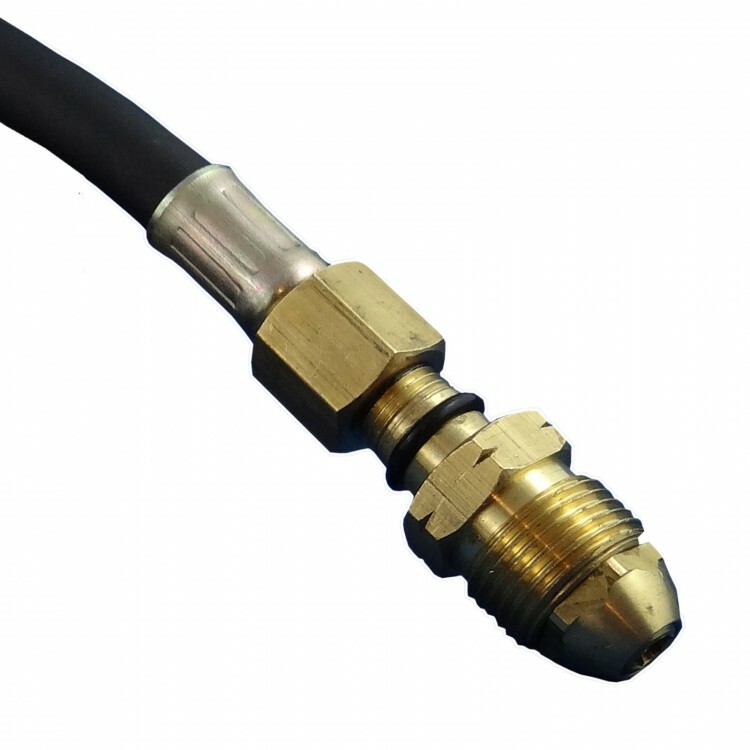 Kit includes one fill gun and hose with male POL fittings each end, and one female POL to female automotive filler adapter. LPG is a compressed flammable liquid. Only licensed, trained and competent personal should conduct any operation or repairs relating to an LPG systems, LPG Component or LPG Storage Vessels. Be aware of your surroundings as LPG vapour is flammable and must be kept away from all ignition sources such as pilot lights and piezo igniters in hot water systems, open flames, cigarettes, welding and grinding sparks and any other potential ignition source. Avoid direct contact with liquid LPG as a freeze burn may result. One litre of liquid LPG expands to 270 litres of combustible vapour. Personal protective equipment must be worn when working with LPG. Cylinders are designed to only fill to 80% of the water capacity to allow for expansion of the liquid with temperature changes. This 80% level must not be exceeded when filling an LPG Cylinder. Ensure the LPG storage vessel(s) are in date and in good repair prior to filling. Appliances intended to use vapour must not be supplied liquid LPG. Catastrophic failure may result. Ensure all connections, seals, hoses and valves are clean, undamaged and in good repair prior to carrying out any operation. All connection must be check for leaks with a non-corrosive leak detection fluid prior to operation. Keep all LPG Storage Vessels out of reach of Children. Improper installations and repairs could result in serious personal injury and property damage. Decanting into LPI (Liquid Propane Injection) LPG tank may not be possible due to the systems higher tank pressures. 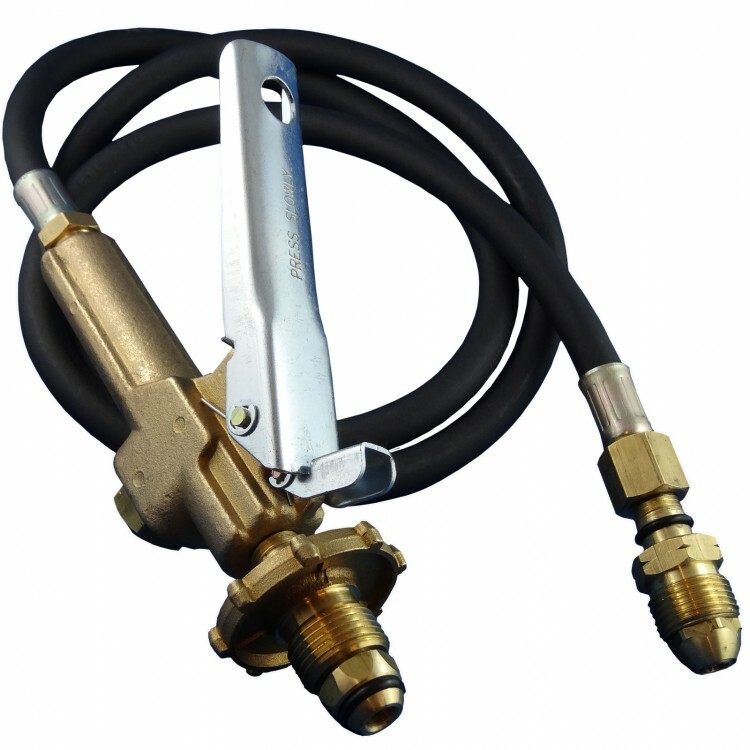 LPG Filler Gun & Hose CGA 555 to POL/BBQ ValveThis kit is suited to refilling from a "Blue Top"(..
LPG Filler Gun & Hose CGA 555 to POL/BBQ, with Primus and Companion Adapters LPG Filler Gun..
45kg Galvanized LPG Domestic Tank with Instu Vapor withdrawal Valve & includes a 1 3/4"Acme Fill..
45KG Domestic LPG Tank Institu Valve with 1 3/4" filler point.Domestic 45KG Institu comp..
ACME LPG Filling coupling to suit fill gun. 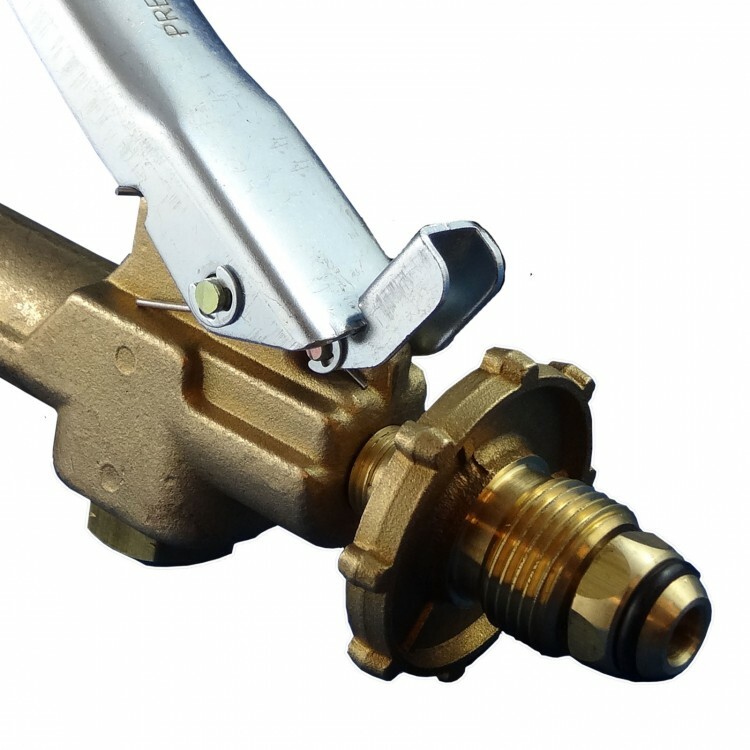 This fitting is used in conjunction with the fill gun an..
LPG Filler Gun & Hose, comes with 3/8 camper, Primus cylinder Adapters, and Automotive 1 3/4" Ac..